By David Lee | January 11, 2019 | This post may contain affiliate links, which means we may receive a small commission, at no cost to you, if you make a purchase through a link. Read our Disclosure. Are you looking for travel tips on top things to do in Medellin, Colombia? As part of our city guides series, we interviewed Dave Lee who lived in Medellin for 18 months and created his own Travel Guide. Dave shares with us his insider knowledge on things to do in Medellin, Columbia. Including where to stay, eat, drink, and where to go for some salsa dancing. The city is situated in a beautiful valley, offering mountain views from every angle. Combine the natural setting with spring-like temperatures year round, Medellin offers a very comfortable climate both day and night. Nightlife in Medellin is a big draw among younger travelers, as paisas love to dance, drink, and party. The women are reputed to be the most beautiful in Colombia, if not all of South America, and that reputation alone continues to attract more and more male travelers. Most foreigners know little about Medellin other than it was the former home and stomping grounds of Pablo Escobar, and therefore once listed as the most dangerous city in the world. In the last few years, several companies have set up organized tours to cater to the tourist demand for information on this tragic chapter in the city’s history. Medellin is home to Colombia’s most famous artist, Fernando Botero. In the city center, you can walk through Botero Plaza and get your picture taken amongst a few dozen of his large metal sculptures. The plaza also features the Museo de Antioquia which features some of Botero’s paintings, as well as other Latin artists. One of the reasons Medellin is a popular place for expats to live in Colombia is the metro system. Medellin features Colombia’s only metro train. From the main train line that runs North/South through the city, are several cable cars (like ski gondolas) that run up the mountains to poorer neighborhoods. These cable cars are meant to give residents easier access to the city, however they also offer a cheap and fun way to get panoramic views of the entire city making it one of the top attractions in Medellin Colombia. If you prefer adrenaline-pumping activities, paragliding is available for as little as $45 per 25-minute flight. And if you’re craving excellent creole or north Brazilian food, head to Bonuar, which is adjacent the Modern Art Museum, and features live Blues during the week. 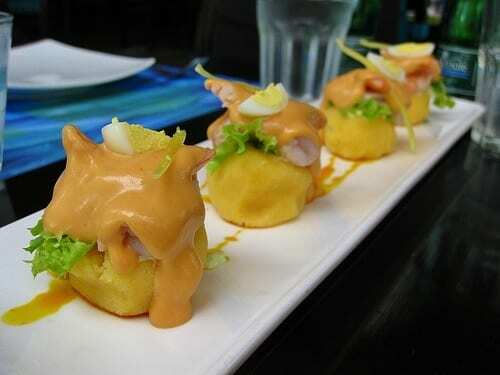 Check out my list of 10 traditional dishes to try when visiting Colombia. A paisa favorite is the raucous Dulce Jesus Mio, which is decorated like a mock Antioquian pueblo. Workers dress up as caricatures of typical townspeople. Get there early (9 pm), and ensure you have at least one girl with you, to get a table. If you actually want room to dance, then go to the upscale Cien Fuegos, which features the biggest dance floor in town. Just about anywhere they sell beer. Drinking in public is legal in Colombia, so you’ll often see local teens and college age kids buying beers and drinking in the parks on the weekends. It’s a cheap way to enjoy the night. Otherwise, go for beers in any of the small, hole-in-the-wall bars that can be found in every neighborhood. The bars facing any park, such as Parque Envigado, offer good people watching opportunities too. Parque Lleras is the most accessible — you can just walk around until you find a bar or discoteca that looks like fun. Or, hop a cab to nearby Barrio Colombia and you’ll have a dozen different discotecas to choose from, all within a few square blocks. And you’ll see fewer foreigners than in Parque Lleras. More adventurous visitors will go a bit further to La 33, or La 70, a five-block strip of salsa bars and clubs on the West side of the city. Medellin is a large city, so while you’ll be able to walk around within neighborhoods, you’ll need public transport to get you around the city. Bus rides, which can be confusing at first, cost about 65 cents each, while a single ride on the metro will run you 85 cents. The metro is very easy to use, clean, and generally safe (there’s security at every station and platform). Taxis are metered, and you can go from one end of the city to the other for $6-7. Guatape is a colorful pueblo a short 2 – 2 1/2 half hour bus ride from Medellin. It’s situated on a lake, and is just 15 minutes from El Penol, a monolith sticking out of the ground. You can pay a few bucks to climb the stairs up the monolith. The view of the surrounding countryside from atop the rock is not to be missed. You can visit Guatape and El Penol as a long day trip, but I recommend staying the weekend to relax like the locals. Most visitors stay in El Poblado, the upscale neighborhood in Medellin. And with good reason. It’s pretty, clean, and generally safer than other parts of town. Most of the hostels are centered around Parque Lleras, with bigger hotels situated along Avenida Poblado. While most of the hostels are party hostels, I like to recommend Casa Kiwi where I stayed when I first arrived in the city. The Art Hotel is a nice place for those with a bigger budget. Apartments are another good option with over 100 properties throughout the city. For more places to stay in Medellin choose from the largest range of hotels, apartments, and guesthouses with our partner Booking.com. You get free cancelation on most rooms, and in most cases you only pay when you stay. Santa Fe, located on Avenida Poblado, is the city’s largest shopping mall. The retractable roof allows fresh air and sunshine in on the nice days. The mall features movie theaters, a food court as well as some specialty restaurants like Sushi Light, and plenty of name brand clothing stores. In early July, Medellin hosts Colombia’s annual salsa festival. The weekend event is a combination of salsa workshops, competitions, and at night, social dancing. As the fashion capital of Colombia, Medellin hosts Colombiamoda (fashion week) every July as well. The 3-day event is open to the public during the day (a pass costs about $40), while the runway shows are invite-only. La Feria de las Flores, the city’s annual flower parade, runs from the last week of July through the first week of August. The weekends are busy with parades, including La Cabalgata horse parade, an antique car parade, and the flower parade. There are also lots of concerts and special events held during the 10-day celebrations. Summer, or the dry season, runs from December through February, so these are some of the best months to visit. Every December, Medellin and the surrounding cities like Envigado and Sabaneta, put up millions of Christmas lights and decorations. The entire valley is transformed, fireworks are lit off every night, and chivas (party buses) take both the locals and tourists around to see the displays. It all makes for a very festive atmosphere. I’m a fan of Aires, a discount airline which was recently acquired by LAN Airlines. You can get domestic tickets to major cities like Bogota, Cali, and Cartagena for as little as $75, thus saving you a 10 to 12-hour bus ride. If you’re long on time and short on money, stick to the buses. Overnight buses are fairly comfortable, with reclining seats, though you need to dress warmly because the driver always has the air-conditioning on high. Medellin, and Colombia as a whole, is slowly opening up to more and more international flights between cities such as Quito, Lima, Panama City, and Havanna. Try finding a place to stay through Couchsurfing, or by renting a short term apartment. To find a room to rent, try CompartoApto, and to find an apartment, just do an internet search and you’ll find a bunch of agencies. 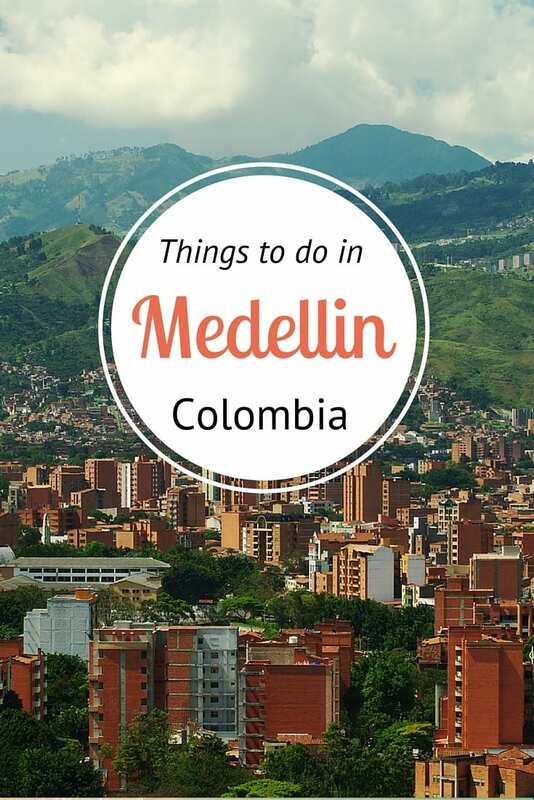 Don’t forget to get more tips in Dave’s travel guide to Medellin! And if you’re new to Airbnb, click here to receive a discount on your first stay! I believe Medellin is no more dangerous than any other large, Latin American city. The stereotypes from the days when Pablo Escobar, narcoterrorists, and the FARC use to cause widespread and indiscriminate violence live on, yet anyone who visits the city will see it’s not so scary at all. Common street crime, such as pickpockets and robberies, continue to be a problem but I don’t think that’s reason enough to avoid the city or country entirely. Because I’ve gained so much as a person from living there. The paisas welcomed me with warmth and curiosity. The natural beauty inspired me every morning when I woke up. The friendly (and hot) women inspired me to learn Spanish. And the Latin music inspired me to learn how to dance. Booking.com has over 300 properties in Medellin including hotels, apartments, and guesthouses. You get free cancelation on most rooms and a best price guarantee. Do you have any tips on things to do in Medellin?Share in the comments. Great tips and stunning photos. Really would love to wander around Botero Plaza with my feet on the ground though! Absolutely can’t wait to someday see this all in the flesh. Thanks Christine 🙂 Every time I leave I miss the place. Looking forward to getting back in 2012 for a few months. Medellin was very nice when I visited and yes I am going back tomorrow! Hi Dave! Thanks for all the great recommendations. Do you recall anywhere you can play tejo in Medellin? Thanks! Glad you have the opportunity to return. And you also make it sound amazing! Yes they are great photos. Hope you do make it there soon! El Penol looks like a nice cliff. Do people do rock climbing there as well? Hi Jane, I think I remember seeing some people rock climbing when I went to El Penol, but I took the easy way up (as do most people). There’s a concrete staircase that’s built into a big crack running up the side of it. On top, you’ll find a few small shops where you can have a drink or ice cream and enjoy the view. Dulce Jesus Mio looks amazing, I need to see this part of Columbia! The photos in the post are beautiful! Medellin is beautiful and has excellent climate. Nice photos! If you look at the Botero Plaza picture, at the very, very right, you can make out part of the Hotel Nutibarra which is a beautiful old art-deco hotel. If you look below it by the two blue pillars by the elevated Metro, there is a restaurant with seats that look out over the whole plaza. Have a cheap beer or three at THE best place to people-watch in Medellin. Very safe in those seats but just be careful if you are alone not to wander along the metro a few blocks back there for too long. A lot of nothing to lose folk back there and sleezy bars and dive hotels. The OP is also correct that parque Envigado is quaint and safe. For a cheap date but a fun night, a jewel is a relaxed nothing fancy bar almost directly down from the church. I cant remember the name but it has a bar you can sit at and has a small dance floor in the back. Bring a date there. Have a Picada from Bartolos delivered from a few doors down. And pay $10 to have a group of mariachis that are always hanging around serenade your date. Add a bottle of rum and you are in like flynn! Very safe place too. I have visited Medellin 3 times (2009,2010 & 2011). Each visit was better than the last. One of my favorite cities! The people are very welcoming. The weather is wonderful. It is inexpensive. The food is delicious. It can be difficult to maneuver through the city if you do not know Spanish. Thankfully some of my friends there know English. I hope to return in 2013. Thank you so much for this article! I am visiting Medellin and the Zona Cafeteria in just a few weeks. I may just add in a side trip to Guatepe after reading your post. Medellin is the most perfect city in the entire world, I think. It is a beautiful city, even more so at night, a perfect warm warm climate all year round, smiling, hapoy, friendly faces everywhere you look, great music, salsa, tango, great shopping, fantastic nightlife, great restaurants, lots fo local and nearby sightseeing, a modern metro and cable car system, the city is extermely clean, you can drink the water out of the taps, no bugs, no hurricanes, no tornados, no earthquakes, no tsunamis, no volanic eruptions, very raesonable prices. Look, I have been there 5 times in the last 2.5 years, and I still miss it every single time that I leave and come home. I am always ranting and raving about how great it is to all my friends here. They just don’t understand, nobody undesrtands unless they have been there. Visiting Medellin is like having a date with Marilyn Monroe ! I have travelled all over the world and Medellin is the absolute best and most fun place I ever went. Go there one day for a nice, relaxing holiday, and you will never regret it. wow, great to hear all this about my city. This year Medellin won the most innovative city in the world. Thanks so much for your wonderful website. My sister lives in Medellin and I have visited many times but I haven’t gone to half of the places you mentioned. I am traveling with my family in 2 weeks. My daughter with her family are going for the first time so she was excited to read all about it in here. Awesome Gloria! Don’t forget to check out Dave’s blog and ebook to get more information. His links are in the post. I was born in Medellin and moved to the US 11 years ago. It makes me incredibly happy and proud to see posts like this on the internet. People usually associate Colombia with many negative things. Thank you for showing the world how beautiful our city is, and thank you for all of you who have visited. I can’t wait to go back and see my family, this has made me extremely home sick! The only reason that you have to visit Medellin is that Pablo Escobar lived there. I am from medellin but i lived in australia 4 years, i am back, if someone wants to come to visit this wonderful city contact me and i can help you!! HEY I AM HERE IN MEDELLIN AND CAN USE A FRIENDLY HELP WITH GETTING TO KNOW THE CITY … HERE FOR ANOTHER WEEK ..
Hello I plan to visit Medellin in a few months , I know no one there and need a guide or advice thanks . You can send me a email . How does one deal with the thunderstorms? I see the weather calls for them next week when we are there. Just stay inside and you’ll be fine. Avoid standing under trees and in wide open spaces– basically everywhere! 56 yr old man usa harmless engineer. Speak little Espanol but what the hell. Arriving on 4-19 Feb 2014. Living in Atlanta Georgia usa. First medellin visit. I’m agree, Medellín is a spectacular city, i’m from Spain. The night is live, a lot of pubs, disco, restaurants, but there is a place that caught my attention so much, a great night!!!. A beautiful tipical bar in the 33 street, call el grifo bar, cheap, with a mix of music tipical from Colombia and the besth rock. The place plasm the most tipical live of Medellín. the people, and the atention is great. So if you want to learn how is the most tipical live of Medellín in one nigth!! visit this bar!!! drink a beer, talk whit the waiter and barman and enjoy this daily bar!!! recorre sin miedo los bares, y se amable, por que los paisas son personas de muchisimo carisma, y relajate que la vida es una y tenes que vivirla a lo maximo. If you have read this far you are definitely interested in learning about what to do while visiting Medellin. While I was live there I took a bus one weekend to Jardín which is a national monument located in the very southern tip of Antioquia. I HIGHLY recommend looking into this bus trip. While there inquire with the locals about hiking to see ‘las cataratas’ (The waterfalls). I ended up sitting on the bus next to a young man whose ancestors founded the town, and with his help the local firefighters led me on one of the coolest hikes of my entire life. I ended up repelling down this cliff directly next to the waterfall which carved its way through a massive cavern below you. To date I have done few things while traveling that were this memorable. It may take some asking around to find someone that can help you arrange this, but its SOOOO worth it. If anyone reading this has questions or would like to see photos from this hike please email senordiehl at gmail dot com. I’m happy to share other recommendations in the Medellin area which were not listed above. 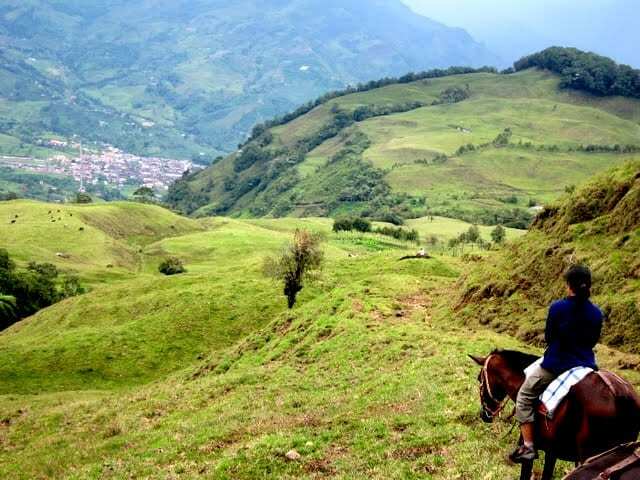 I’m always looking for the off the beaten path adventures when traveling Medellin was an absolute success in that regard. SAFE TRAVELS everyone!!! I’m travelling over to Medellin this December. Just working out the apartment in Laureles in the next few days. I will be staying 6-7 weeks. I have a couple of new friends that live there so I should have some good nights out planed already. I would like to say thank-you to my 2 friends there by taking them out one night for dinner and dancing or a show. Any ideas on something that would fill this bill? i am going to Medellin, for the first time, on the 23rd of january 2014. Hi I’m planing on doing some backpacking in south america starting in the next month (april). I wanted to take some spanish lessons (two weeks) first, as I currently only have minimum skills. I’m a 52 year old male and have done previous backpacking. Where could I stay and take spanish lessons while in Colombia? Thanks very much. This might come a bit late for you Dale, but a good site for getting Spanish tuition in Colombia for short periods is http://www.studyspanishcolombia.com/. They can put you in touch with local teachers (for free) who offer more flexible programmes than do the other language institutions, which are mainly universities. If you want to learn some Colombian slang before arrival, I’d also recommend http://latintravelguide.com/colombia/how-to-speak-colombian-spanish which has a pretty comprehensive guide. Just got to Medellin today and am reading up on places to visit in the City. Thanks for the post – great information! It must be interesting in Medellin… they have a different accent too. I’m most curious about Caribbean Colombia and Medellin. I think they’re safer too. I´m from Colombia, but not from Medellin, and I always say to my foreigner friends and also to Colombian people from other regions that Medellin is worth visiting. Usually in Medellin people smile you whatever you go, and it is something we don´t see easily in other big cities where people look rather stressed and sometimes grumpy. The way of being and speaking of our paisas fellow countrymen seduces everybody. It´s easy to make new friends there and even to start a conversation with unknown people in the street. I know well that this is the main reason why so many foreigners love Medellin. I love it a lot too. Apart from that, the city as well is attractive with its high and green mountains and its mild weather all round year. Do you have an recommendations on where to stay in Guatape and El Penol? Thanks! How come you’ve lived there and you didn’t learn that… it’s COLOMBIA, not COLUMBIA! Thank you for picking up the two typos down the bottom of the post. I’ve fixed them. They were actually written by an assistant, not the author of this post, who has lived in Colombia. If you read his post you would have the MULTIPLE times he mentioned Colombia, he spelled it correctly. And I mean multiple. We’re happy to fix our spelling mistakes and own them, if you promise next time to read a post in its entirety and having a go at someone in a way that is not entirely accurate. Hey. I did read the entire post and I did notice it was spelled correctly a couple of times. I just found it funny for someone who lived in Colombia to still spell it Columbia sometimes; it’s an American cliche, as well as the phrase “It’s COLOMBIA not COLUMBIA” that you can see in T-Shirts. Now I know it wasn’t written by a single person. Thank you. I didn’t think you guys would take it so personal. Okay sorry did not get the T-Shirt reference. Sorry for jumping out. Just thought considering it was only misspelt twice out of many you weren’t being fair to jump on the writer like that. But, I did not get the cliche. Typing for Medellin. Initially overwhelmed by the size of the city, coming from Scotland we are not used to grande! I will use these tips, thank you. Hello! I am looking to move to Medellin in February. I have 3 years teaching experience and a TESOL certification. What are the job prospects for an ESL teacher. Also, I will be relocating with my dog. How dog friendly is this city? Hey, I just wanted to let you’re readers know we’ve started a new language school in Medellin, and we have great housing options as well. If you’re looking for a place to stay and want to learn Spanish in a fun, immersive environment, check out our school at http://www.colombiaimmersion.com. I saw you mentioned safety as well. We’re located in Envigado, which is one of the safest neighborhoods in Medellin, and we help our students find the best places to go. Cheers! I am the owner of a new hostel in El Poblado, Medellin that in just 3 months has gained a reputation as the best hostel in the city resulting in us being number one on Hostelworld (with a rating of 97% – the highest in Colombia) and number 1 on Tripadvisor out of 108 speciality lodgings. We are now seeking to build alliances with reputable websites in the city to continue to boost our online presence. 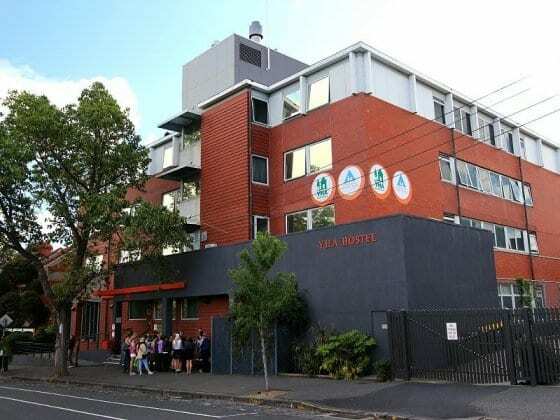 Due to our reputation as the top hostel in the city I am sure that featuring us on your website would be mutually beneficial as it would provide marketing opportunities for ourselves as well as assuring that the information on your website is up to date so that you can continue to provide current advice to your readers. If would be great if you could visit us at the hostel in person, but I am sure you are very busy, so below I have put a link to our website to give you an idea of the facilities we are able to offer. Great tips, the city really changed a lot the last years in a positive way! Poblado is super safe, walking at night is no problem. Love Colombia and Madellin looks like a very cool place to visit. I have planned a visit to Bogota in few months and I will probably visit and get inspired. Arvi is my favorite place in my city, I show you something of our adventure.